Gary Herman, 45, of Chester, was charged with embezzlement from an agency receiving federal funds after his June 27 arrest. A former Massachusetts State Trooper pleaded guilty in the department's ongoing overtime abuse investigation. Gary Herman, 45, of Chester, was charged with embezzlement from an agency receiving federal funds after his June 27 arrest. He pleaded guilty to receiving $12,468 for overtime hours he didn't work, according to the U.S. Department of Justice. Court documents revealed that Herman was paid for overtime shifts he did not work. He allegedly concealed the fraud by submitting fake citations to make it seem as if he worked those reported hours. Herman is the third state Trooper to plead guilty in the department's overtime abuse scandal. Gregory Raftery, 47, and Kevin Sweeney, 40, also pleaded guilty in the investigation. 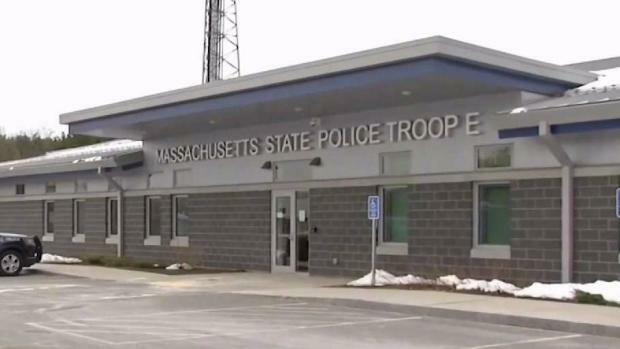 Three troopers with the Massachusetts State Police have been arrested on theft charges in an overtime scandal.